This thief inherited the sexual perversions of his father and the mental illness of his mother. 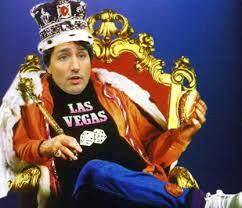 Like a dumb steer Canada is being further branded by a mentally and spiritually sick man. 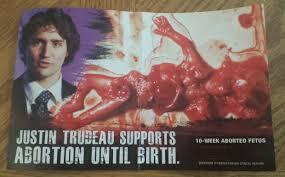 Baby Trudeau loves his own sickening sperm groveling its way to maturity, but he will readily abort yours to promote himself. Read SON OF A FUDDLE-DUDDLE Posted on July 27, 2015 and get a grip on reality of what this ‘fool on the Hill’ truly grew up in. 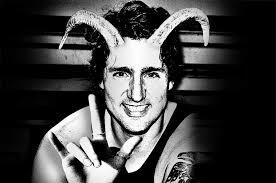 “If a man also lie with mankind, as he lieth with a woman, both of them have committed an abomination: they shall surely be put to death; their blood shall be upon them.” (Leviticus 20:13) On October 19, 2015 Canada you demanded a perverted leader over yourself for Justin Trudeau sleeps in the same bed of spiritual sickness and lies as Obama and crew. Such men are defiant toward the righteousness of God. Through their embracing of the homosexual agenda they make a mockery of God ordained marriage. Your world shall further disintegrate about you and this is to be expected with the blatant disregard for the leadership of God in your lives. Last June ‘Black Barack Obama’ sent his warmest greetings to the Tel Aviv mayor at commencement of their month long gay pride puss outpouring. The shameless Mayor pride-fully boasts that Tel Aviv is the gayest, homosexual embracing friendly city in the world with one of the top ten beaches for perverts at hand as well. Justin Trudeau embraces these homosexual hounds and their Queer Coalition to a degree that surpasses even that of his father. Justin Trudeau is simply abomination in the eyes of God. Trudeau is One Sick Puppet by Inheritance and The Fuddle-Duddled Kid posted on October 3, 2015 might now awaken you to what is truly transpiring with our ‘Mr. Show and Tell’ in the nation and out. 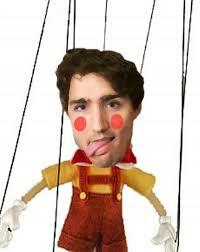 Canadians are largely puppets that cannot afford to continue following a pack of Liberal style goofs that judge by outward appearances. One by one your strings to security are being cut by the leadership of the ‘fool on the Hill’ as he weaves them into your spiritual hangman’s noose. Get rid of this fool or brand yourself the same.